When you're tasked with curating a shopping gallery of the coolest décor, there's certainly an element of pressure you feel in making sure you select the best of the best. Thankfully, I shop all day for a living. No, that doesn't mean I'm actually making a transaction every time, but I certainly do add many of them to my virtual cart, and I always have a million tabs open with new furniture and decorative objects I love. There really is an art to curation, and as much as I look forward to compiling this list, many of them do end up coming home with me, much to my credit card's dismay. But rather than keep all the cool décor to myself, this time I'm putting it in a handy shopping list so you can shop them too. ('Tis the season, right?) Take a scroll, and be sure to DM me your favorites on Instagram. 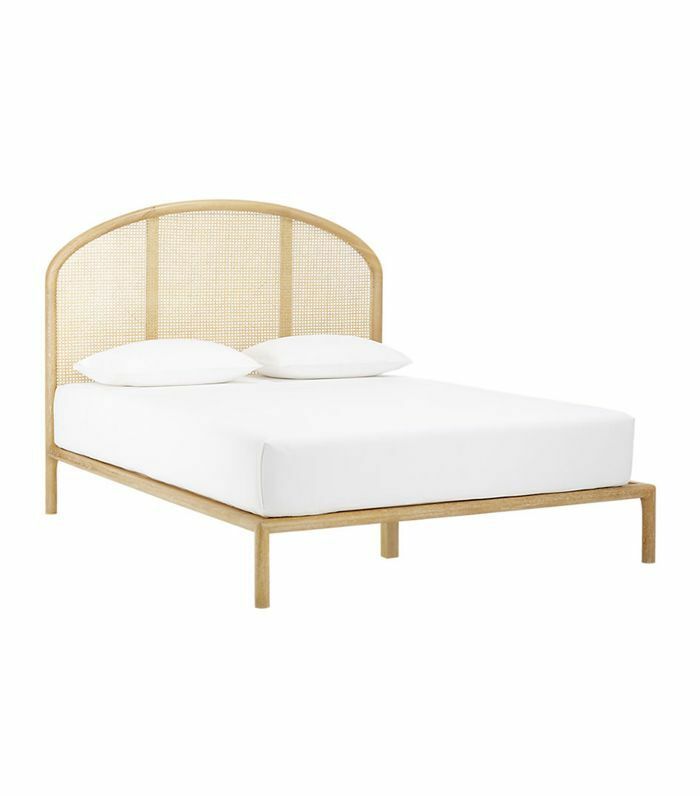 If you hadn't heard, CB2 is killing it right now, and I have my eye on so many pieces from its new collection. This is one of my favorites. I can visualize it at the entryway or on either side of my bed. I love candlelight. Since we're all plant parents these days—or plantfluencers—and we're creating mini greenhouses in a bid to combat climate change, we're always on the lookout for cool planters. This one is seriously cool. 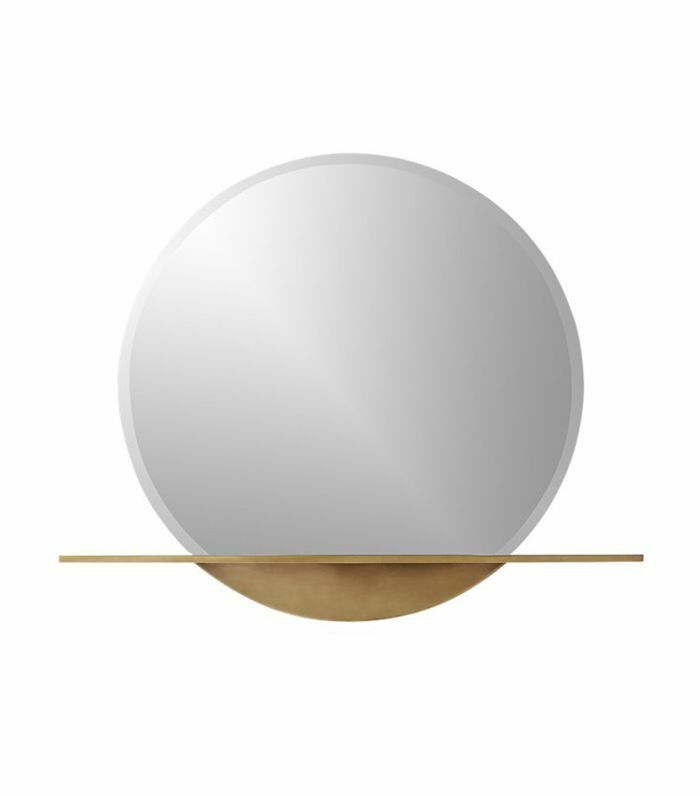 Since we're all obsessed with round mirrors, why not turn something pretty into something practical too? This one comes with a chic built-in shelf that's perfect for placing your keys as you walk in the door. We're always on the hunt for elevated versions of home essentials. Why should you have an ordinary toilet brush when you can have a marble one? 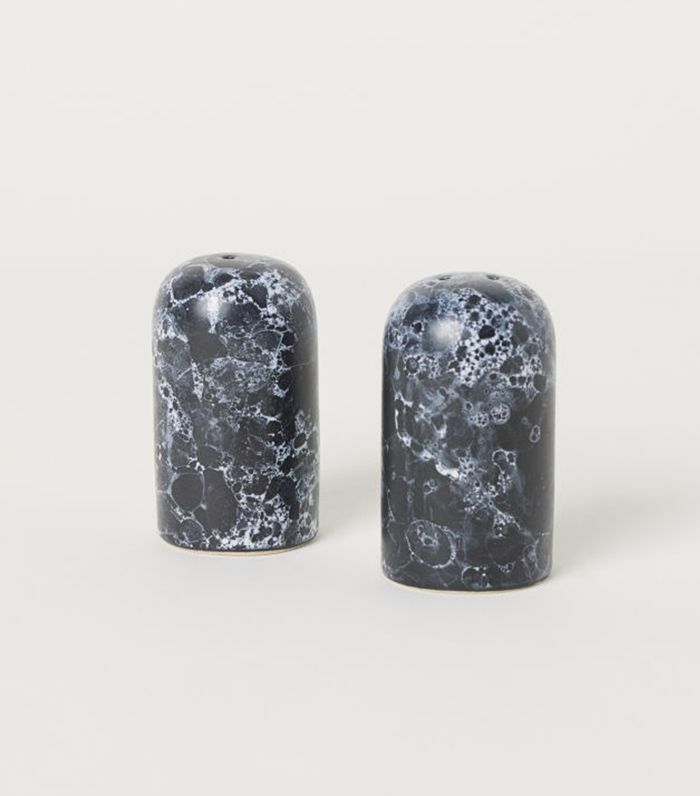 We feel the same way about salt-and-pepper shakers. Don't settle for the plastic grocery store container; these are only $15, and they double as decorative objects. 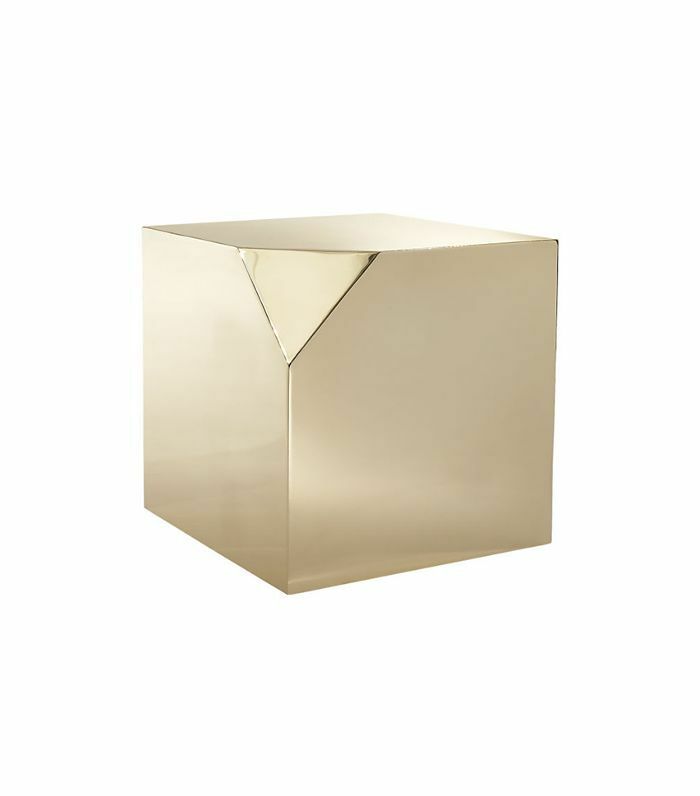 I have an infatuation with mirrored décor, so when I saw this CB2 side table, I was instantly smitten. Honestly, the metallic finish goes with just about any interior style and really lifts the space with a touch of sparkle. 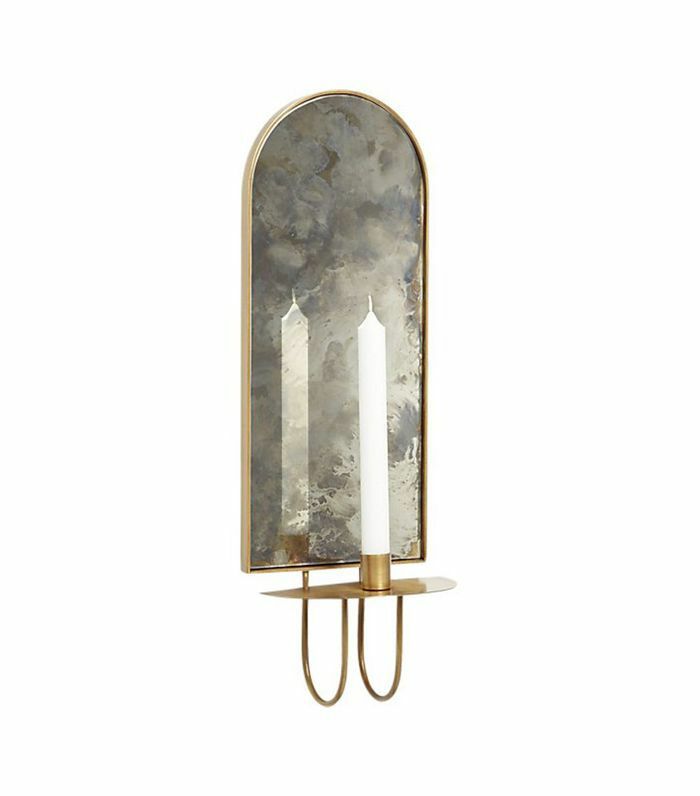 I'm so in love with the furniture and décor from NYC-based design duo Apparatus. 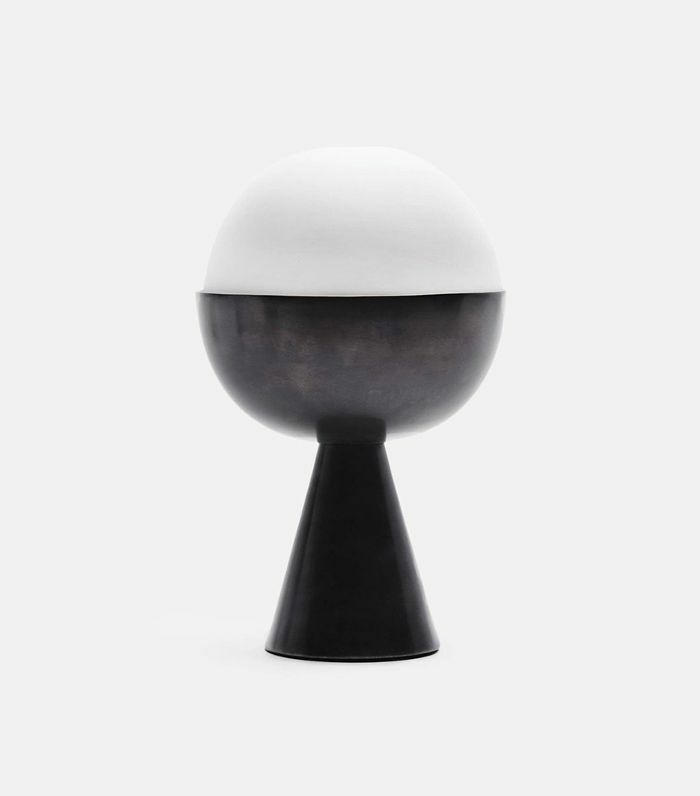 I've had my eye on their Censer incense burner for some time. It looks so beautiful when it's burning, and it's the perfect decorative addition to any living room when you're not. If you're in L.A., be sure to check out their new showroom too. It's beyond. 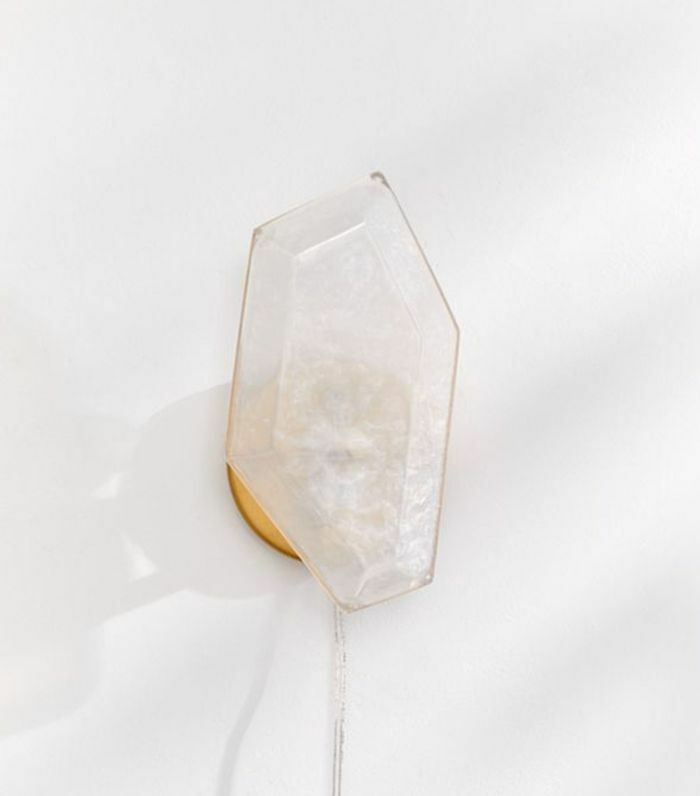 Why purchase a regular sconce when you can have a crystal one? This would look so cool in a kid's bedroom. 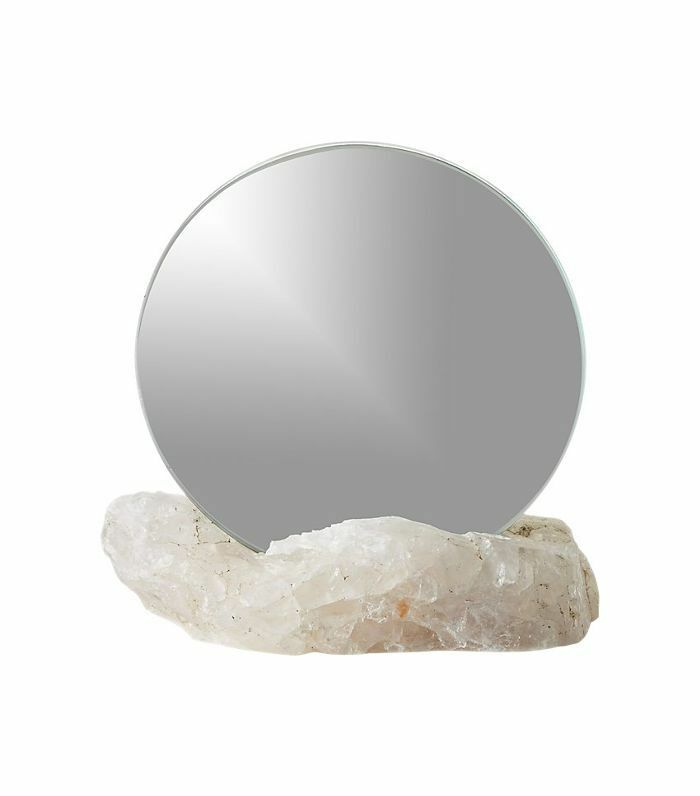 If you know me well, you know I have a crystal obsession, and this rose-quartz mirror is definitely on my lust list. 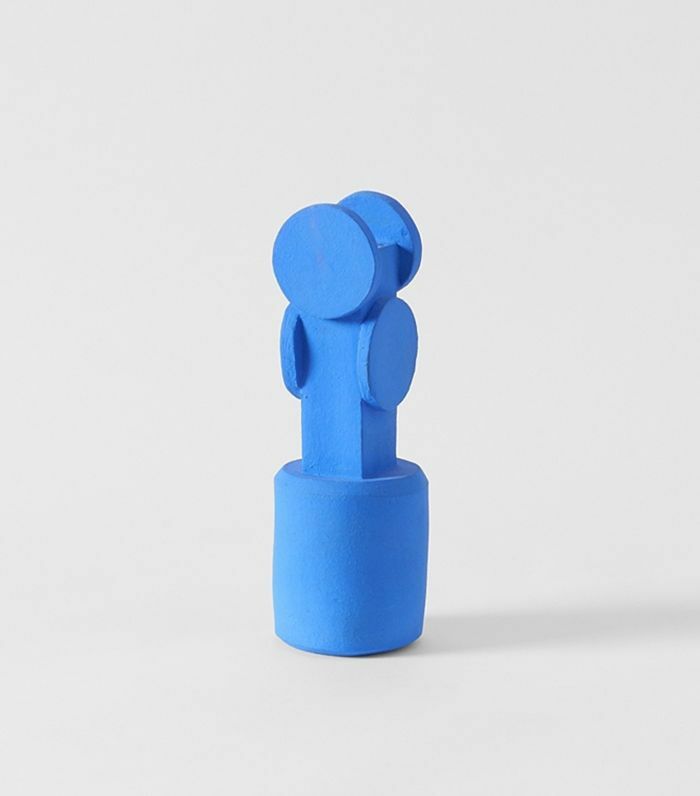 I'm fairly color averse, opting for neutrals over bright hues, but there are a few shades I like to bring into a space to break up the monotony, and Yves Klein blue is one of them. 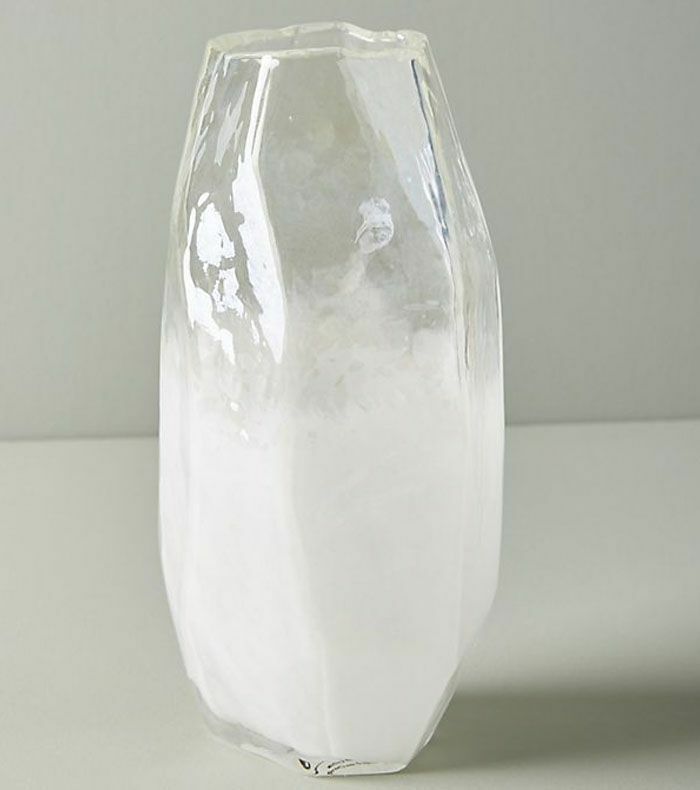 This vase is also beautifully abstract and a real statement piece. 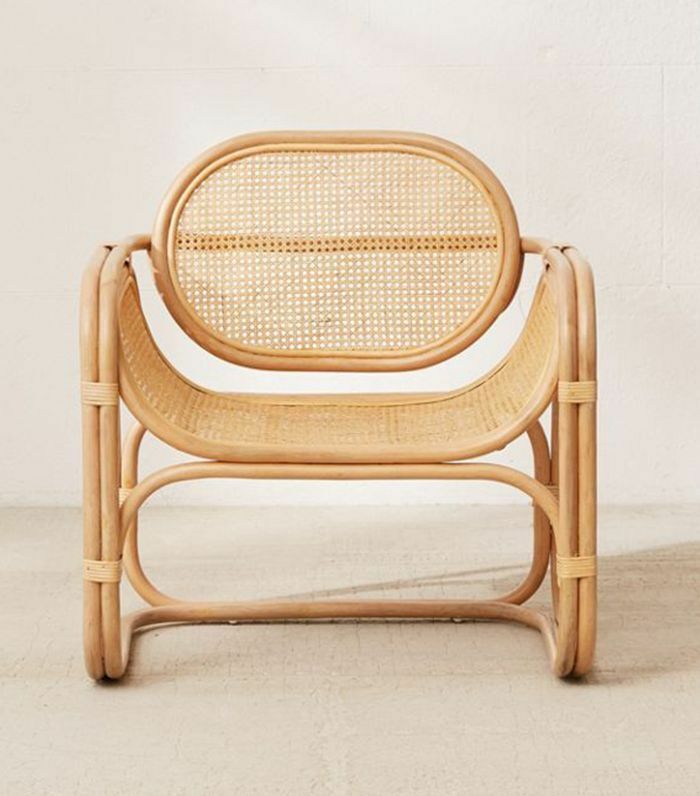 Rattan is the grandma trend we can't get enough of, and this lounge chair is the perfect accent for any lonely corner. 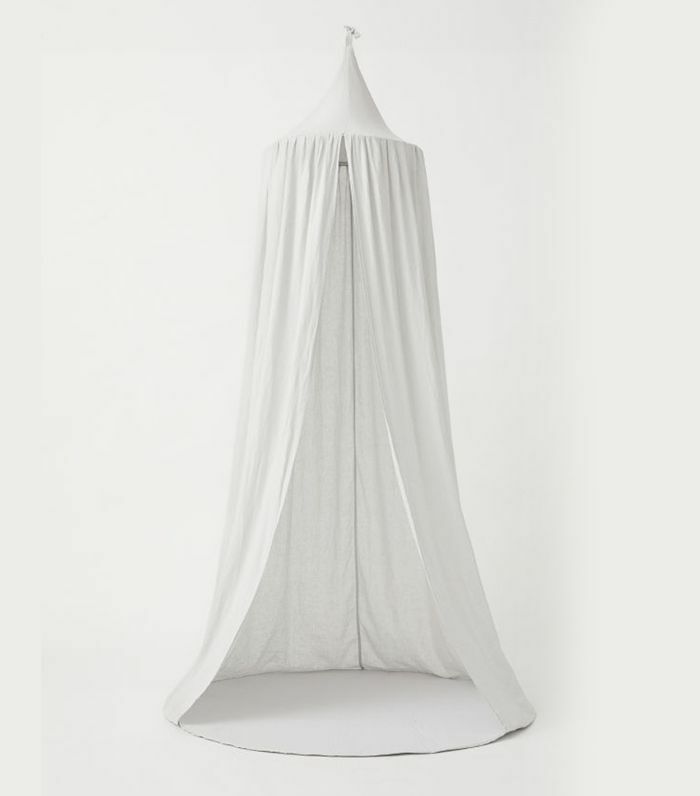 Its neutral shade goes with everything, but its design is unique enough to stand out and impress your guests. And it's a great price too. 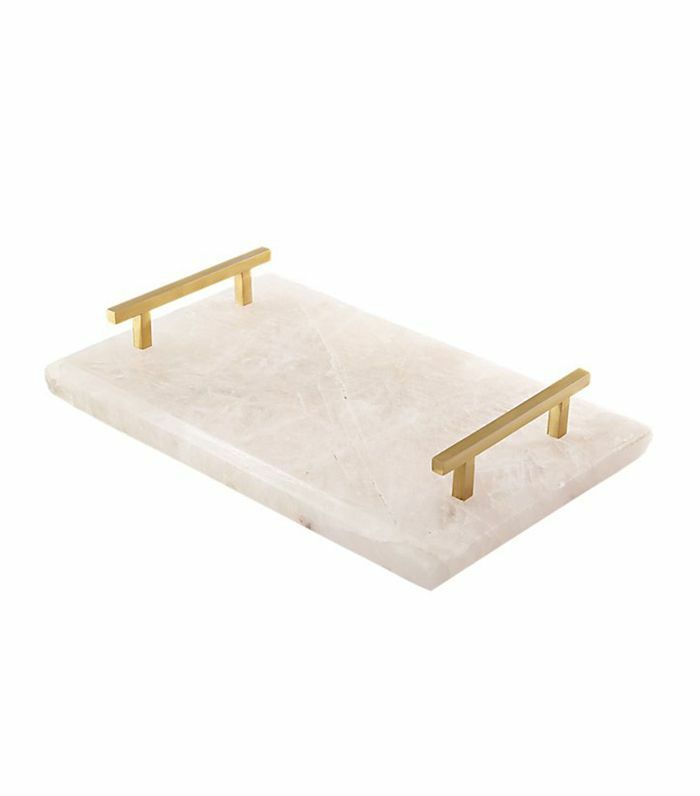 Yes, another rose-quartz object, but seriously, who can resist a tray made out of it? Not I, said the fly. 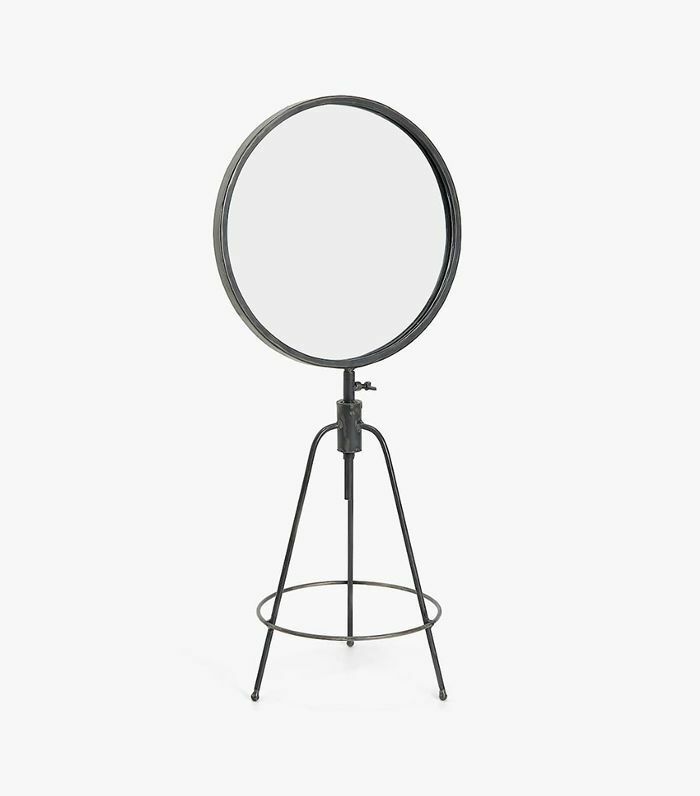 Why purchase an ordinary round mirror when you can have one on a tripod? This feels very Old Hollywood too. 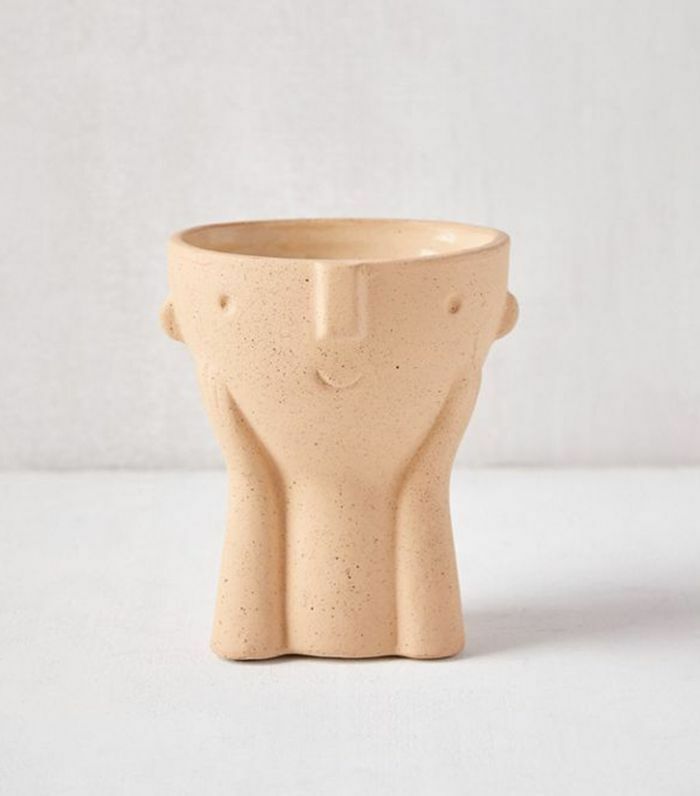 If there's one trend I've been happy to see come back, it's organic shapes and a love for the handmade. 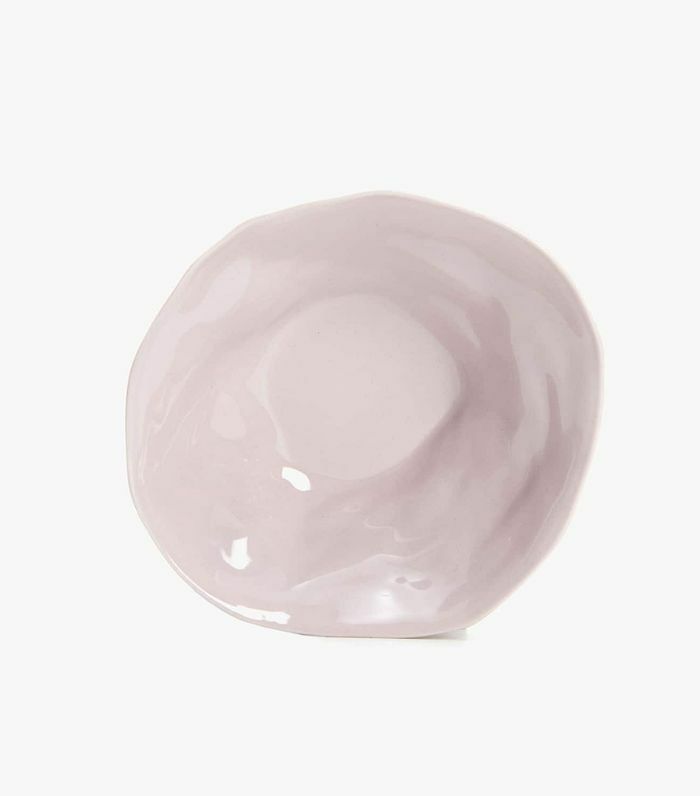 This irregular stoneware bowl is really fun, and the baby-pink shade is cool too. As mentioned above, I really love a candlelit room so, of course, my living room is filled with candles and candleholders. 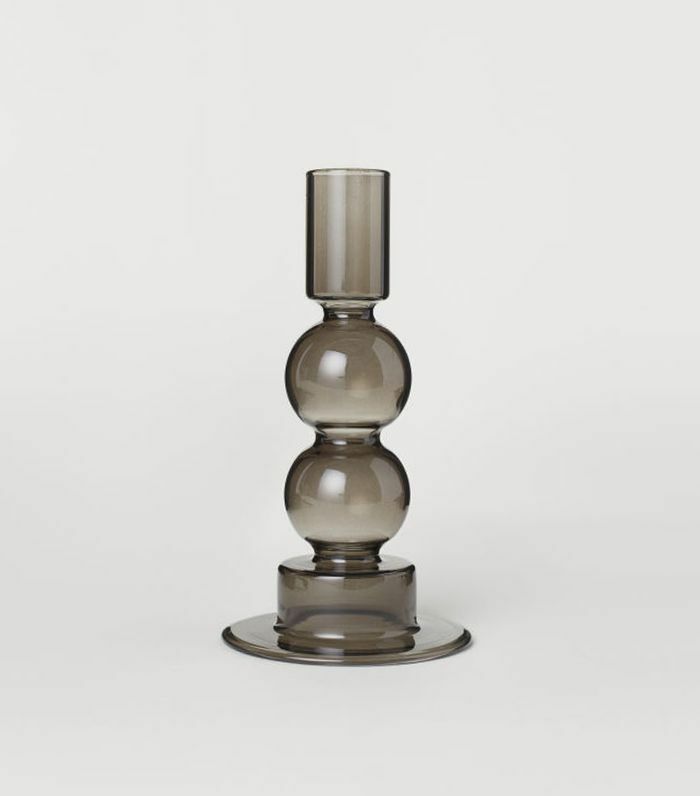 Most of mine are brass, though, so this smoky glass one really caught my eye. 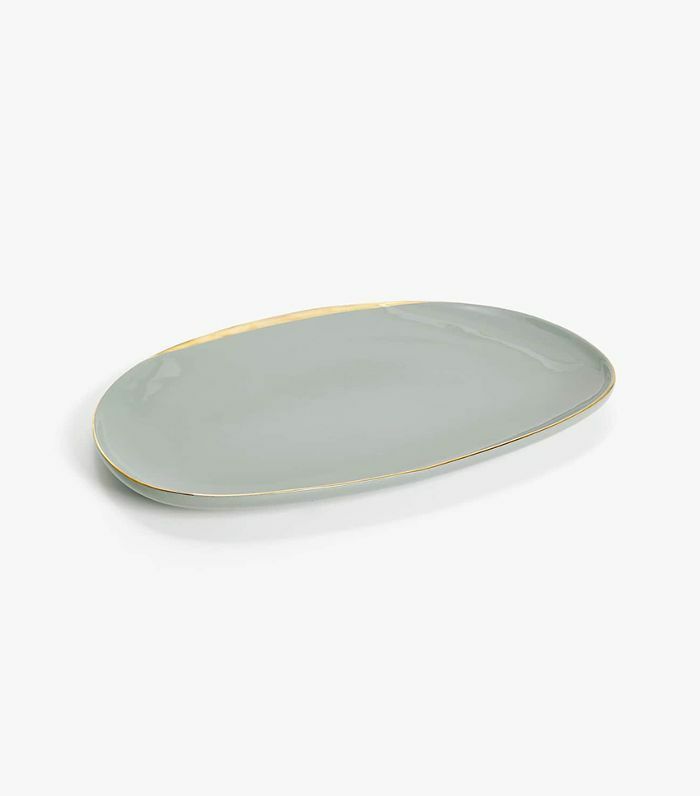 Just like the bowl above, this serving plate is a chic addition to any tablescape and great for the holiday season ahead. It's also available in a beautiful pewter green that I'm convinced is the next big color trend. With the winter season upon us, nothing beats wrapping yourself up in luxurious velvet. 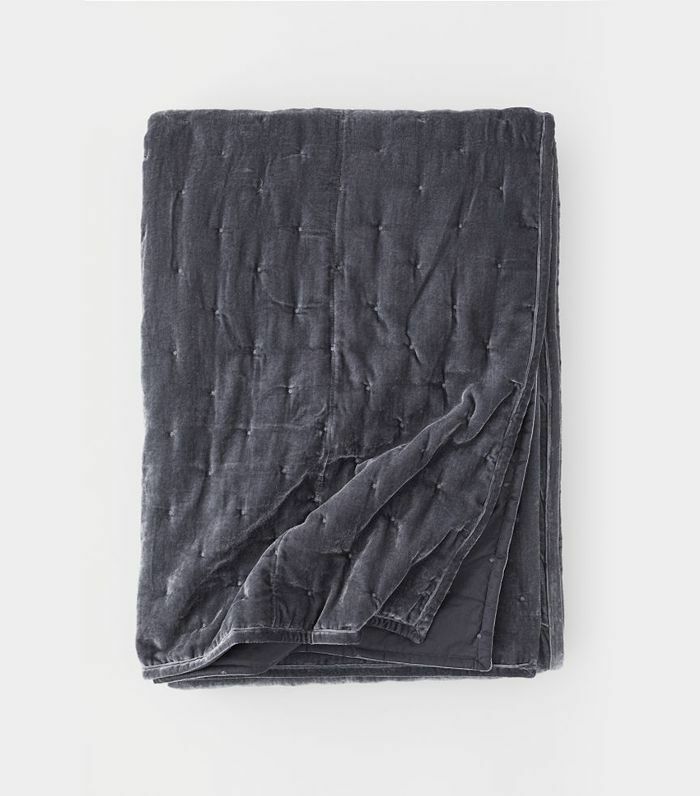 This bedspread is super chic. 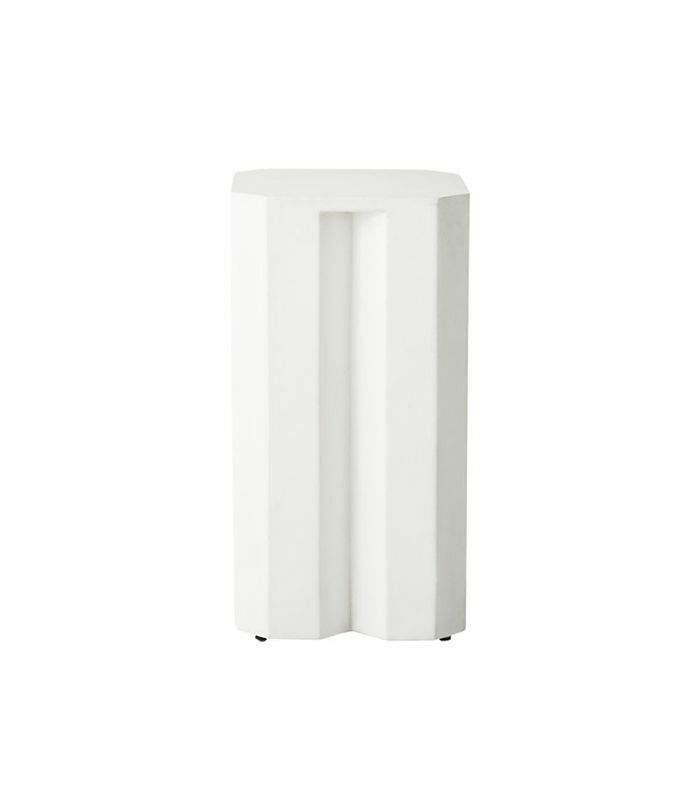 I'm really into creating a gallery-like moment at home, and these Roman-style pedestals will definitely help you re-create that. I can just imagine a classical hand-carved marble figure atop of it or a chic vase with pampas grass. 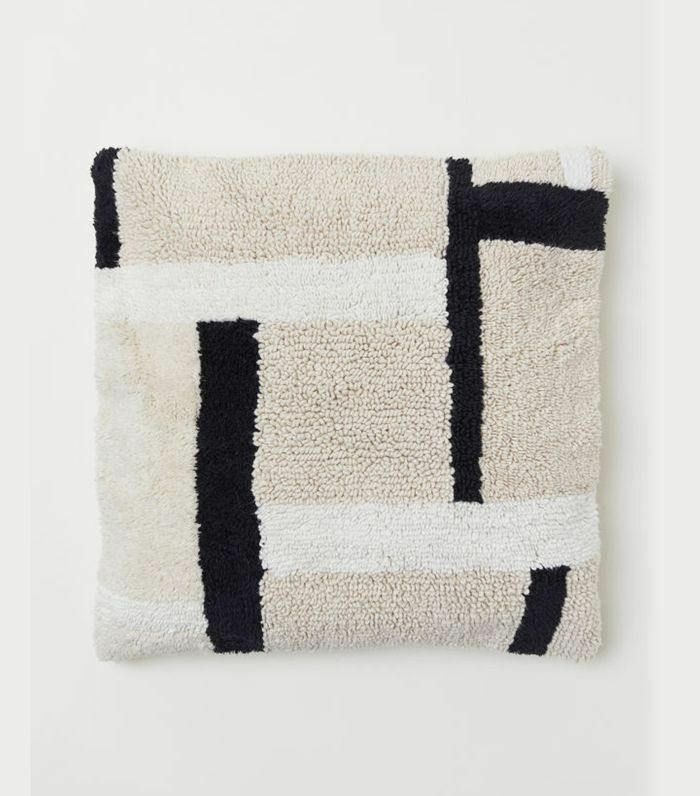 'Tis the season for throw pillows, and this one is about as cozy as it gets. I also love the graphic pattern; it helps break up a neutral room. 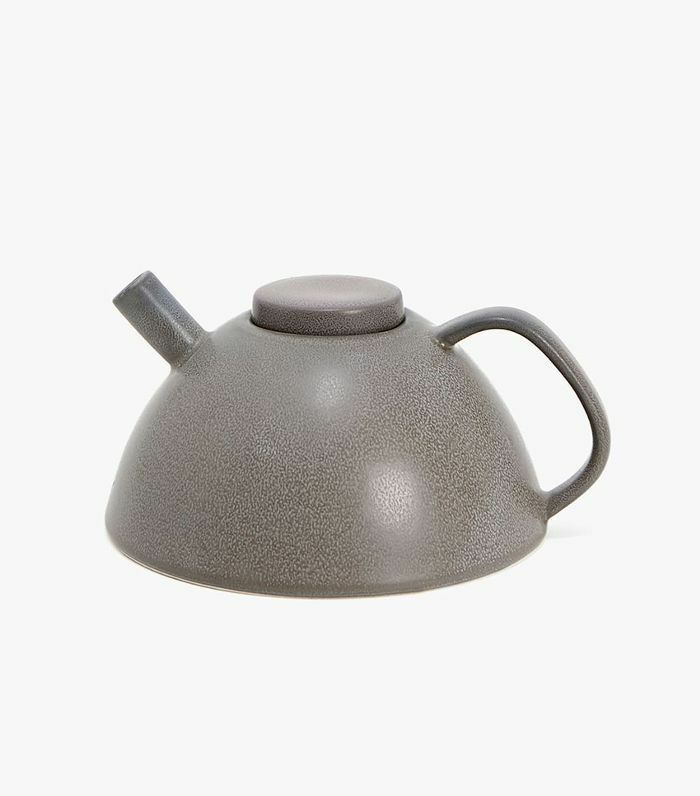 I'm a big tea drinker, and this stoneware teapot is a decorative piece when I'm not drinking. I love how it has a handmade pottery feel to it too. Every season, I like to replace all my old bathroom mats and refresh the space. 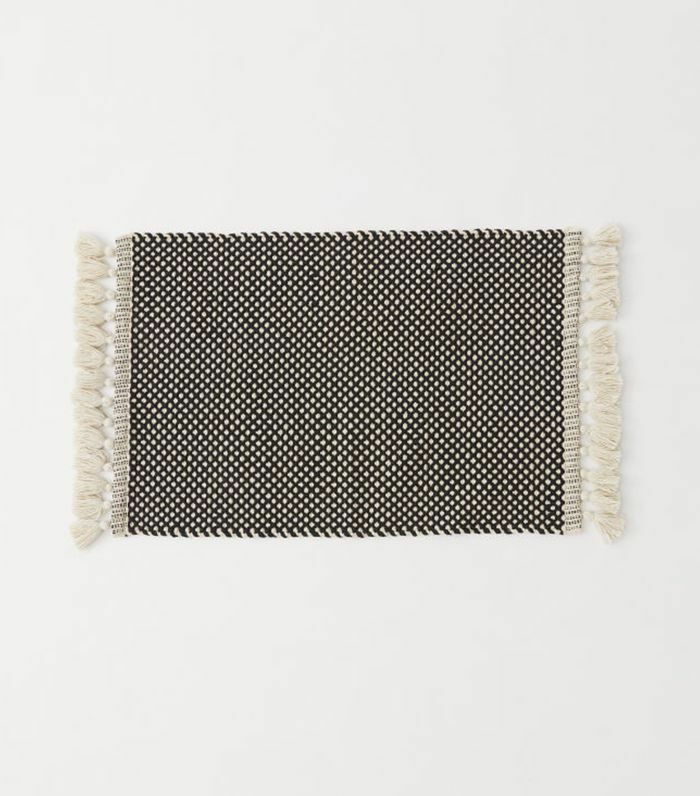 This one makes it easy: It's only $25, and I love the texture. 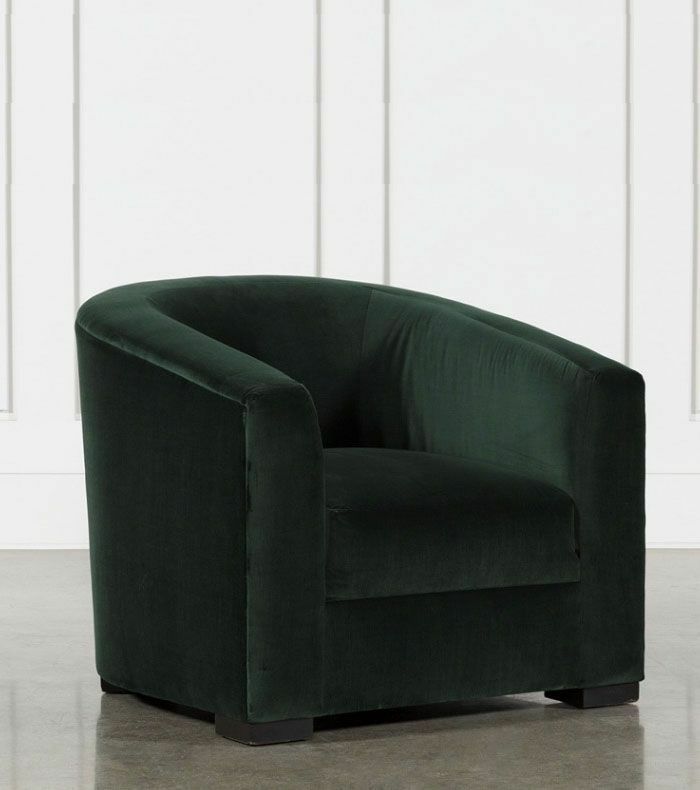 Nate Berkus and Jeremiah Brent just launched their first collaboration with Living Spaces, and I'm 100% head over heels for this striking green-velvet accent chair. Berkus calls it the "gateway color" for those who are shy of using any at home. I agree. The entire collection is really chic; they even bought two of the Liv chairs into their L.A. home. 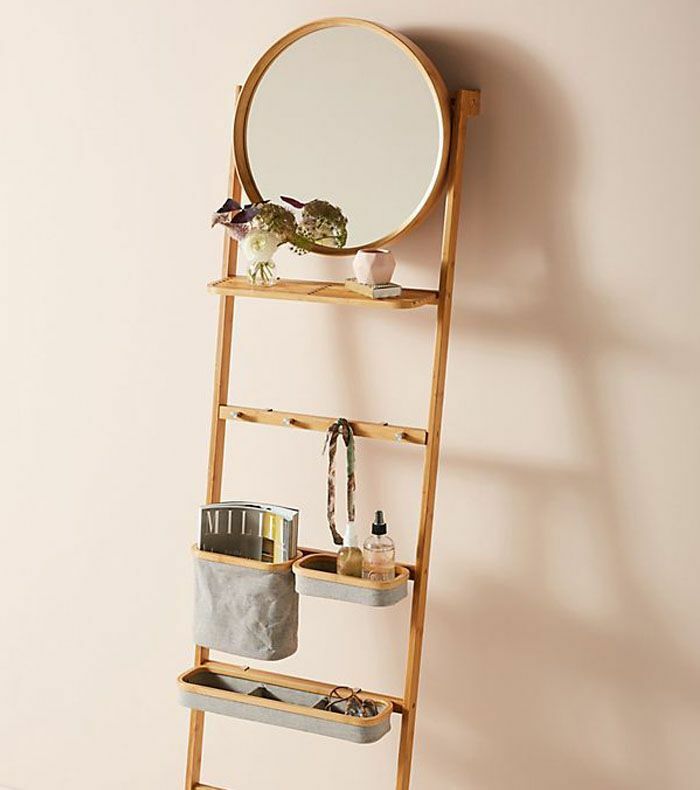 A ladder is one of the chic essentials every home needs. Why? Well, it's pretty and it's practical. You can hang towels from it in a bathroom, and this one even has a mirror, so it doubles as a vanity too. 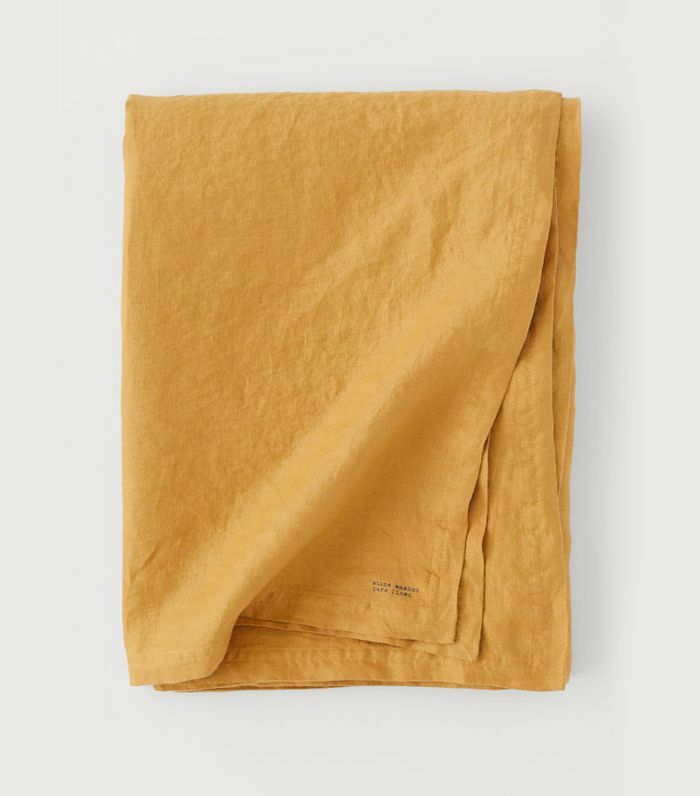 Sure, a tablecloth seems odd in a curated list of cool dècor, but I love the terra-cotta tone (it's the It color for fall) of this one and the texture of the washed linen. 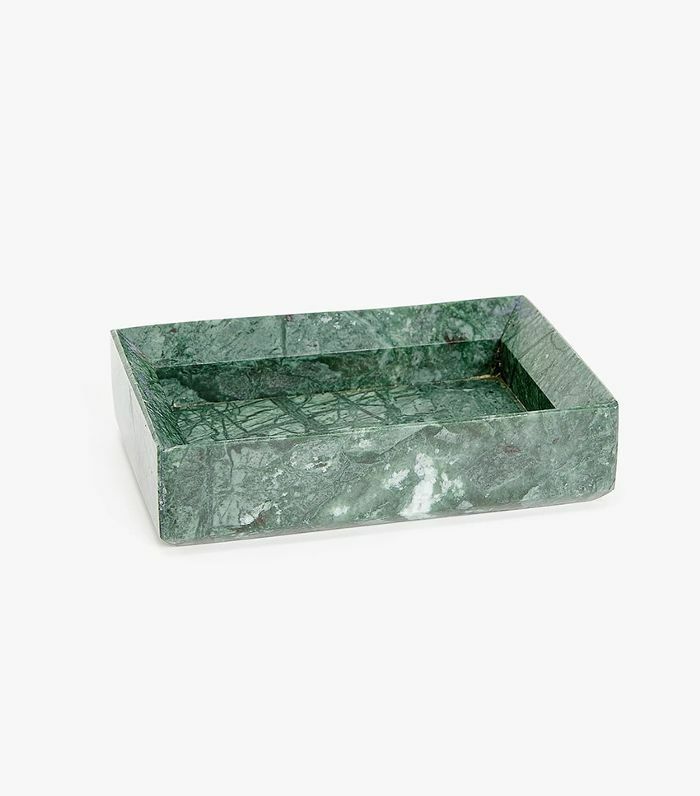 You can tell by now I love elevated home essentials, and I have a particular fondness for marble. This soap dispenser is green marble, which feels new and like I'm entering a chic Roman bath. 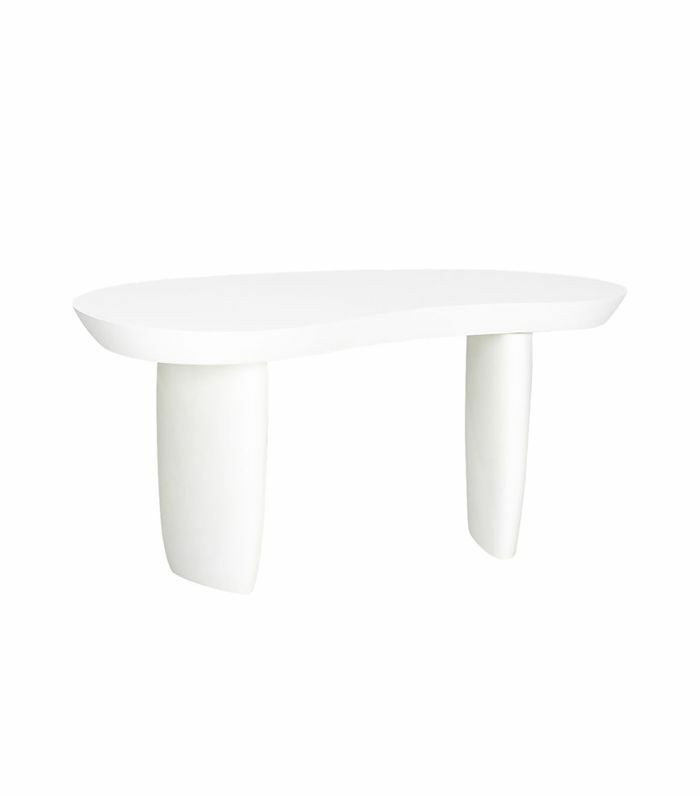 Side tables don't need to be boring. This one has a quirky almost Flintstones-like shape, as though it was made from leftover Stonehenge materials. It would be really fun in a kid's bedroom. 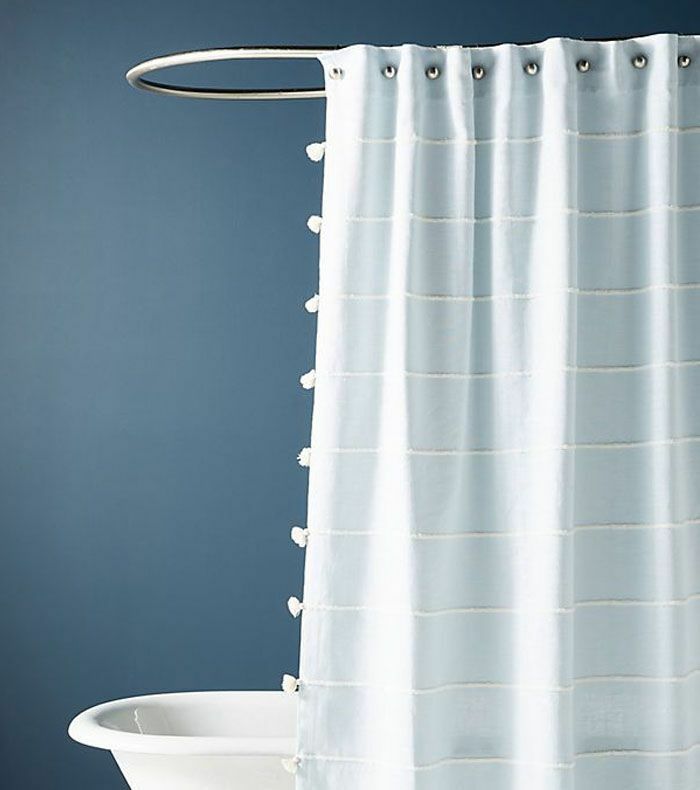 Okay, okay, a shower curtain does seem out of place on this list, but it's not every day that you see one as cool as this one. Am I right? I love the tassels, the baby-blue color, and the stripes. It's about time someone designed shower curtains with elevated taste. 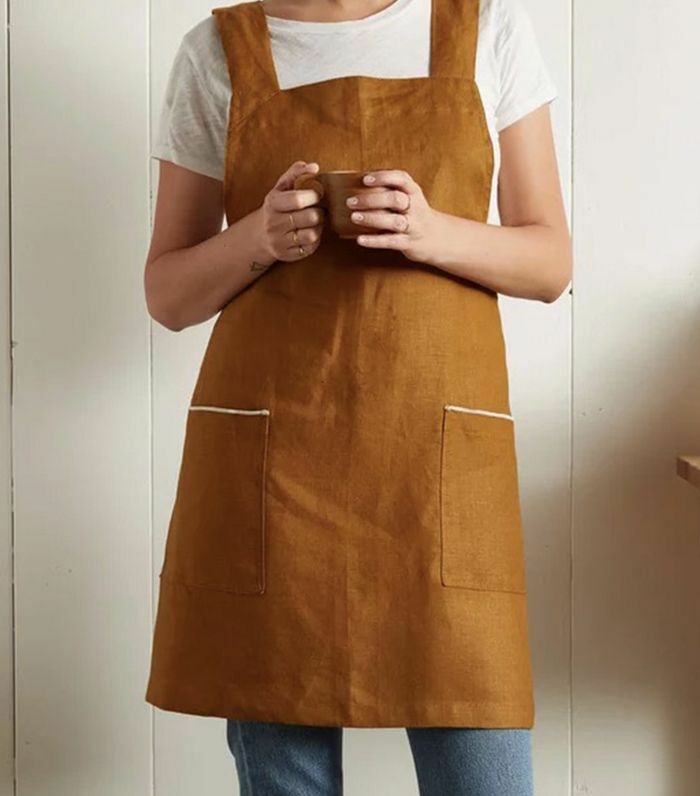 Most of you know from reading MyDomaine regularly that we're all in love with Parachute bedding, but you'll be happy to know that the brand just collaborated with Hedley & Bennett on a super-chic range of linen aprons, tablecloths, and napkins. See? Terra-cotta is trending. I remember cane being a huge trend when I was little. It was the '80s, my mom was basically a hippie (she gave birth to me at home), and this material was cheap and abundant. I guess this makes me feel nostalgic, and I also love the color. It has major Cali-cool vibes, and I can imagine a Jenni Kayne alpaca throw on top of the bed. This month, it's all about entertaining, so it's time to invest in some chic tableware and dinnerware. Of course, cheese platters are one of the most popular to make and entertain a large crowd without a lot of effort. 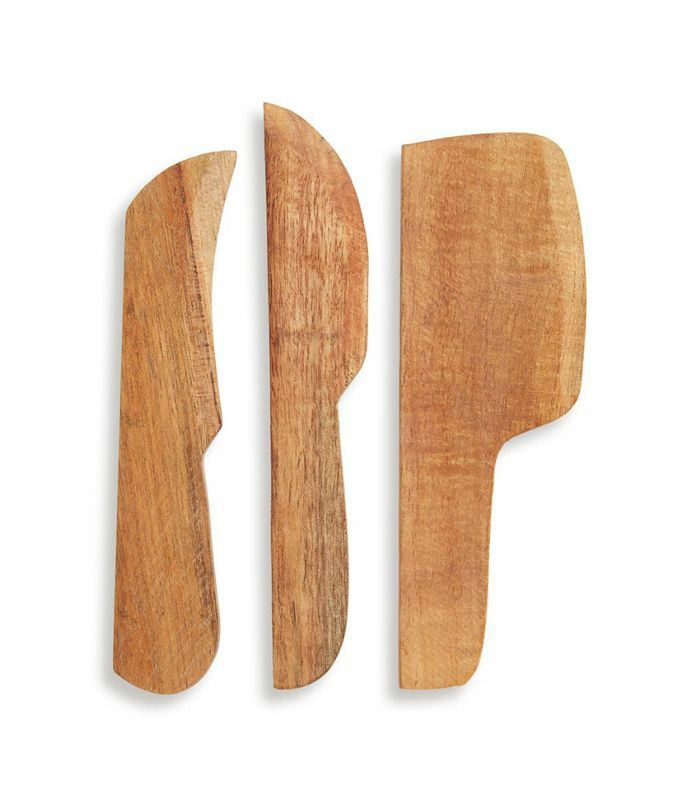 These chic wooden cheese spreaders are the chicest accompaniment. 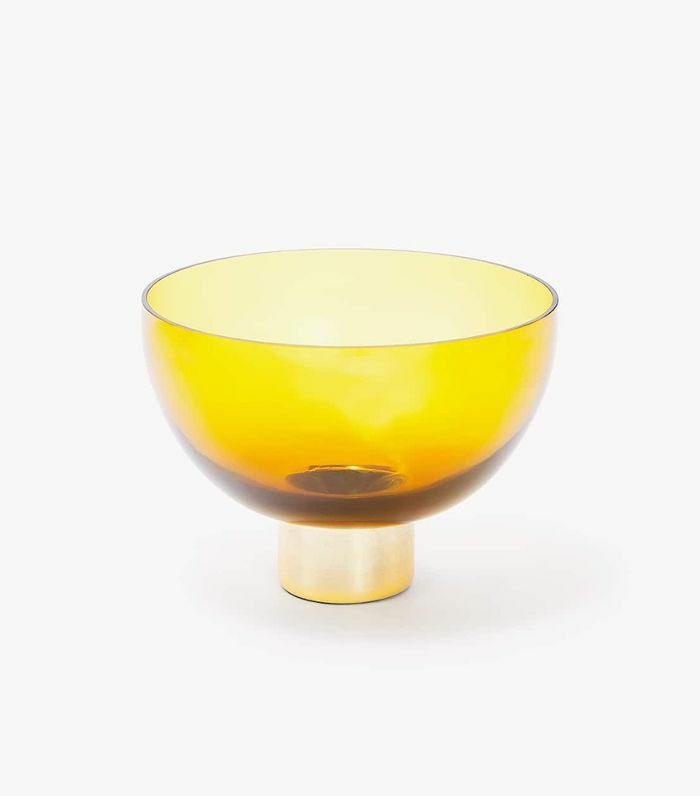 Why have a plain fruit bowl when you can have this stylish version? I love the color—sepia is so on trend—and the gold base that elevates it off the countertop. I'm always on the hunt for a new vase. I feel like it changes up the room and allows the flowers and greenery to pop in a different way. This one's the perfect fit for the cooler season. It looks like an ice cube. I'm really into pampas grass right now, but that can also be a lot of work as it starts to shed. 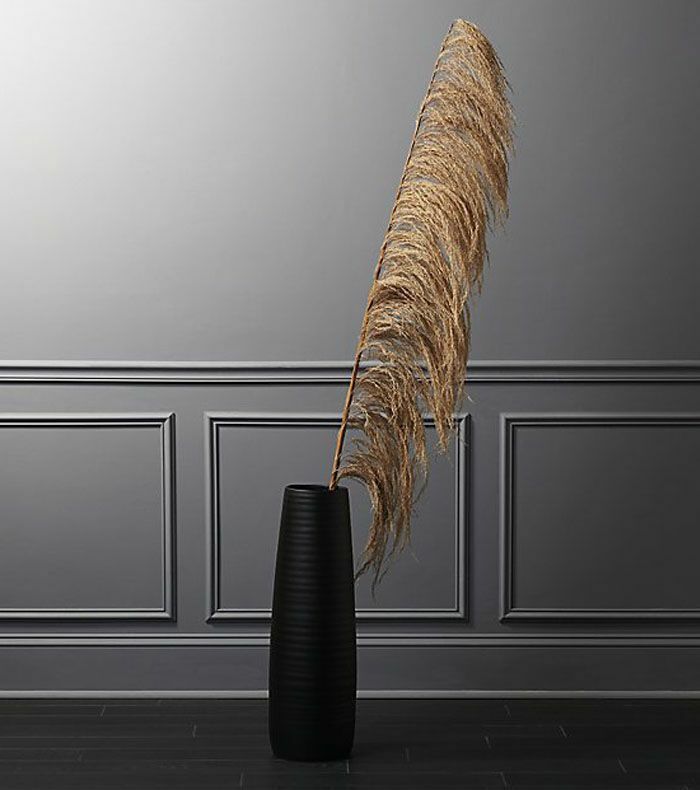 This uva stalk is easy to care for and looks incredibly cool in a black vase, as pictured here. I'd also love to see it atop the CB2 pedestal column above. This is just about the most magical thing I've seen this month. Who wouldn't want to see their kids (it's also adult-approved) playing or reading a book under here? 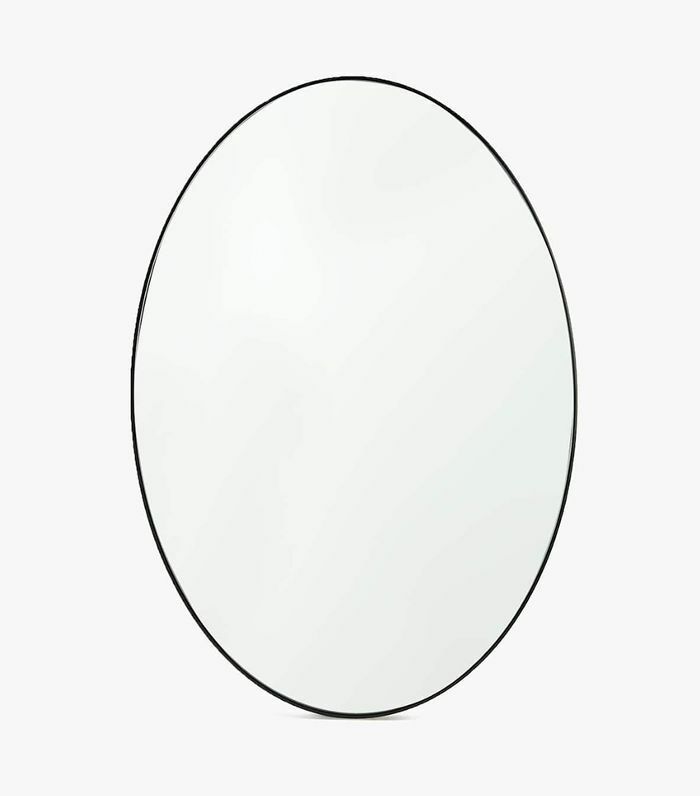 Our collective love for round mirrors is strong, but I'm calling the oval mirror as the next big trend. I really just feel like it's a solid change; it brings a fresh feel to any space. When it's cold outside, we spend a lot more time indoors. 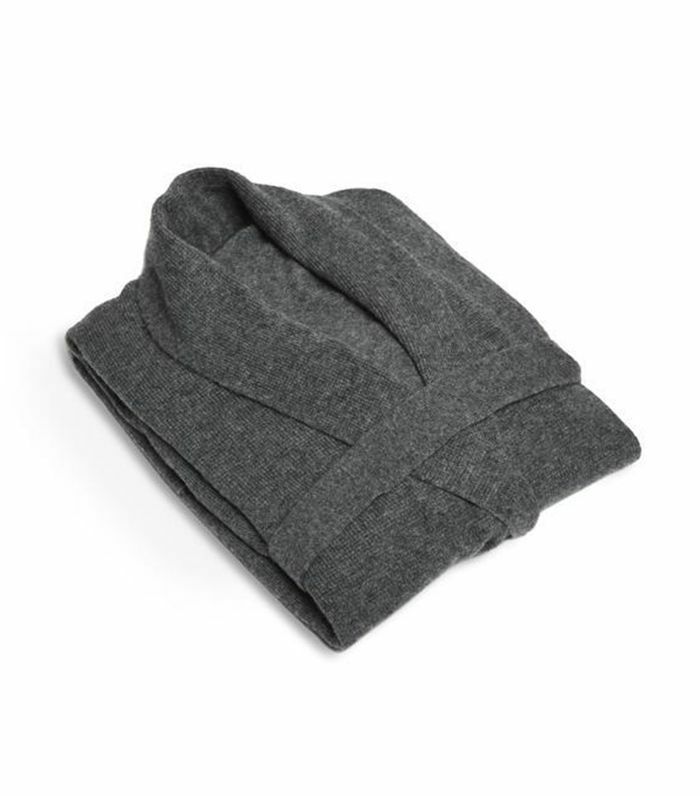 So, of course, everyone needs a cashmere robe. This is how I want to spend my wintery holiday. 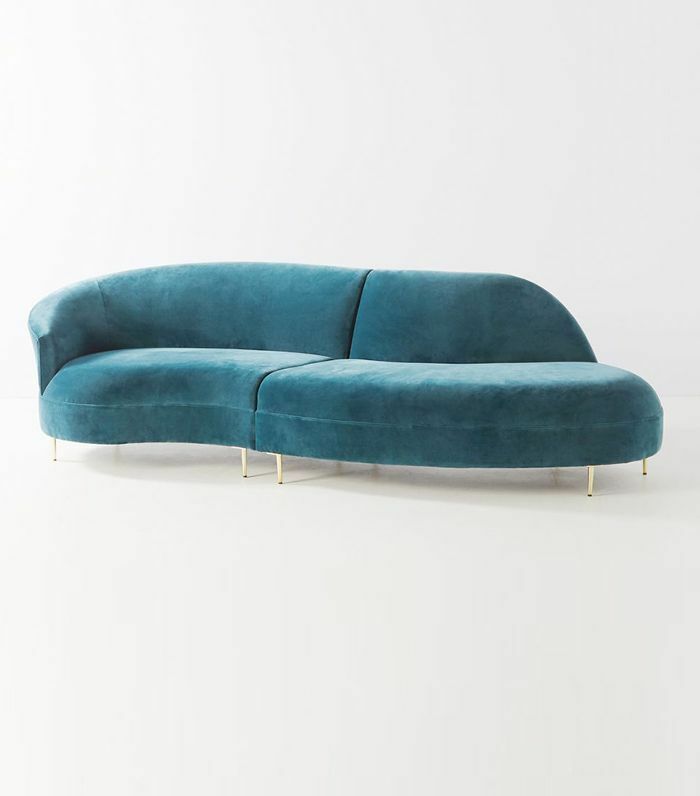 This isn't a piece you buy on a whim, as it's quite the investment, but I had to include it because the color is incredible, the velvet material is really fun, and the curved shape is a classic. That's why Anine Bing chose a pink one for her L.A. living room. And as a bonus, this one is also a sectional that splits into two. It really doesn't get much cooler.